A helmetless stormtrooper from Star Wars Battlefront, posted to the game’s subreddit. Players can still play as male or female Stormtroopers, but their helmets will stay on. It’s rare that the removal of a feature from a video game makes fans of that game happy, but fans of Star Wars Battlefront seem pretty happy that, thanks to a new update, anyone playing as a Stormtrooper in the game is forced to keep their helmet on. “No more wretched storm troopers without helmets,” one player noted on the game’s official forums on Tuesday. 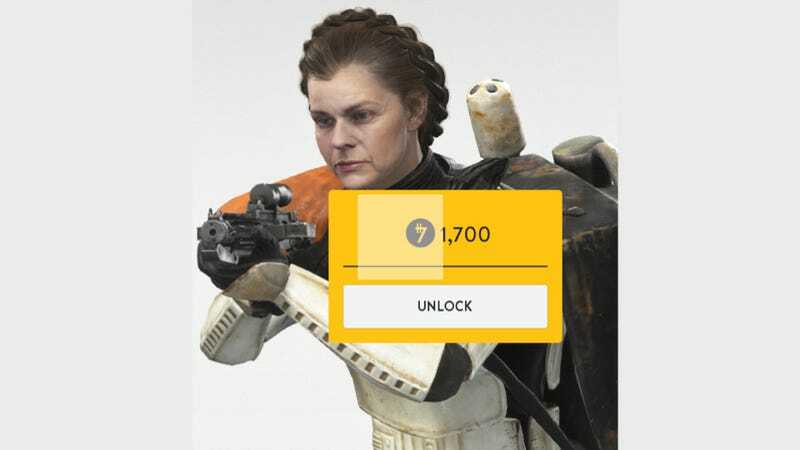 The title of the most popular thread on the game’s subreddit this week is: “Helmet-less Stormtroopers are gone.” It has a 90% upvote rating and many happy people posting in it. Brännvall said he’s weighed complaints about guards from Bespin showing up on Hoth or about Rebels being able to arm themselves with Imperial weapons and that, for him, everything in the game should feel authentic to Star Wars but then be used however the player would like to use it. He acknowledged that “there are as many interpretations of what’s true to Star Wars as there Star Wars fans.” So much for the helmetless Stormtrooper concept, though.